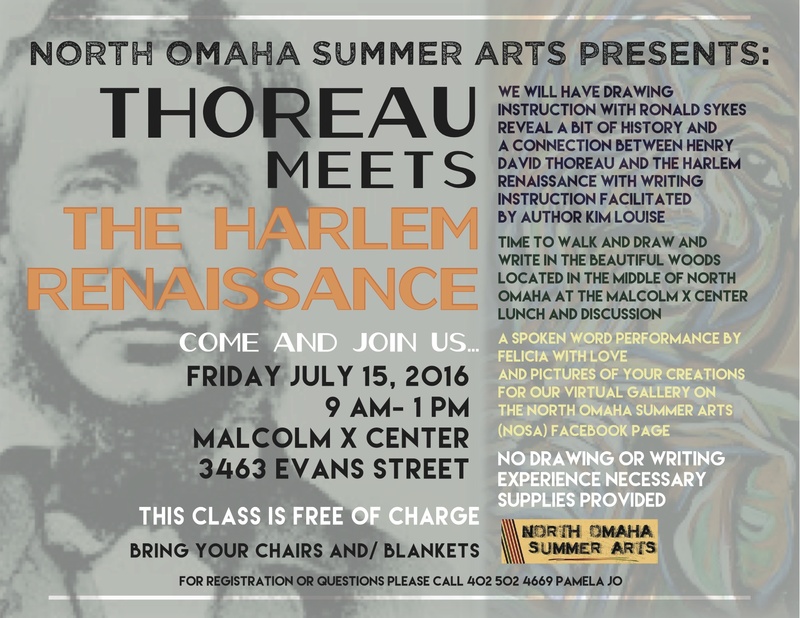 North Omaha Summer Arts has added Pop-Up Art Events this season, including a recent Thoreau Meets the Harlem Renaissance event at the Malcolm X Birthsite. 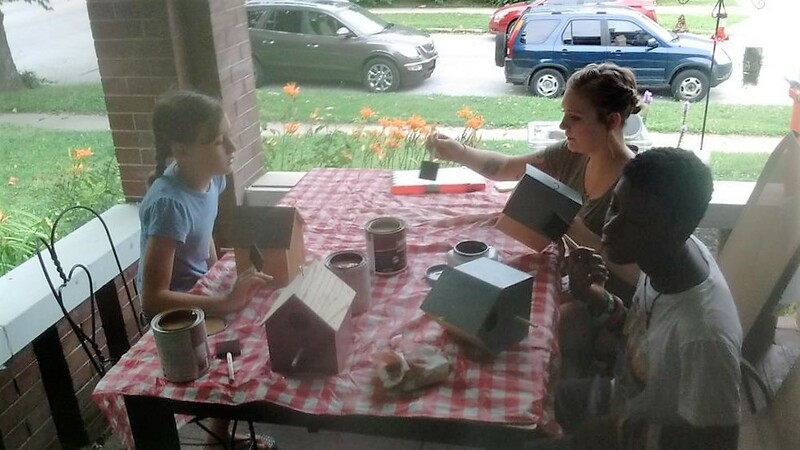 The images posted here are from the Painting Bird Houses event held at the home of the artist Evance, who hosted and facilitated the class/happening on the wrap-around porch of her beautiful North Omaha home. 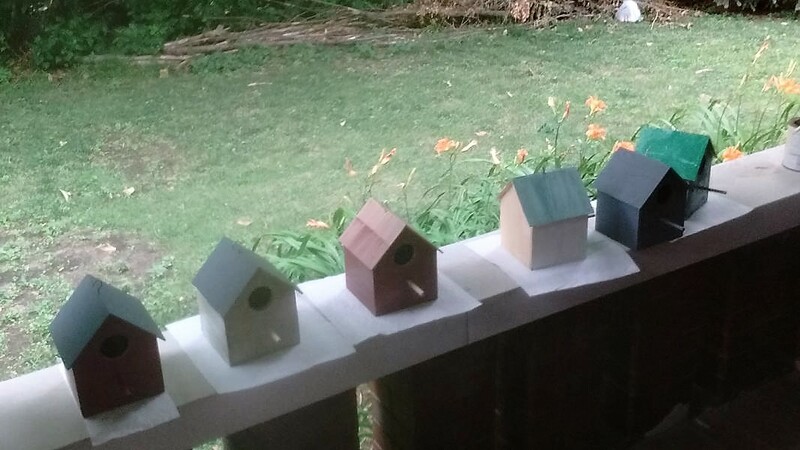 Adults and children participated. 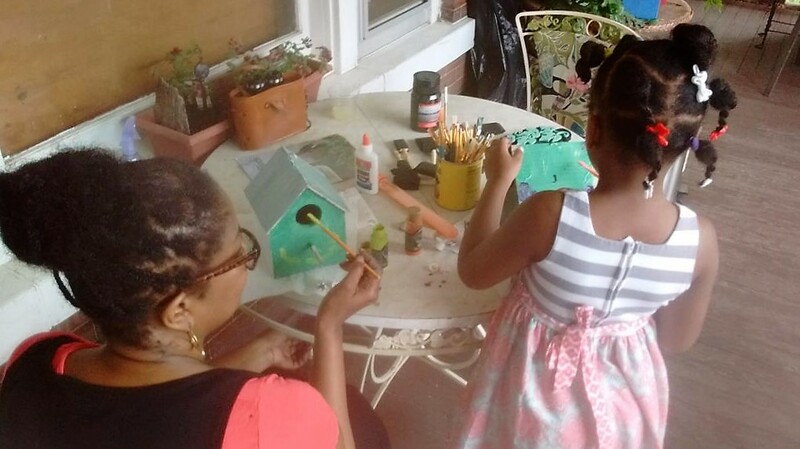 NOSA is collaborating with more community partners than ever before for arts events, including recent collaborations with Compassion in Action, Girls Inc. and the Intergenerational Human Services Campus. Look for posts about these happenings. 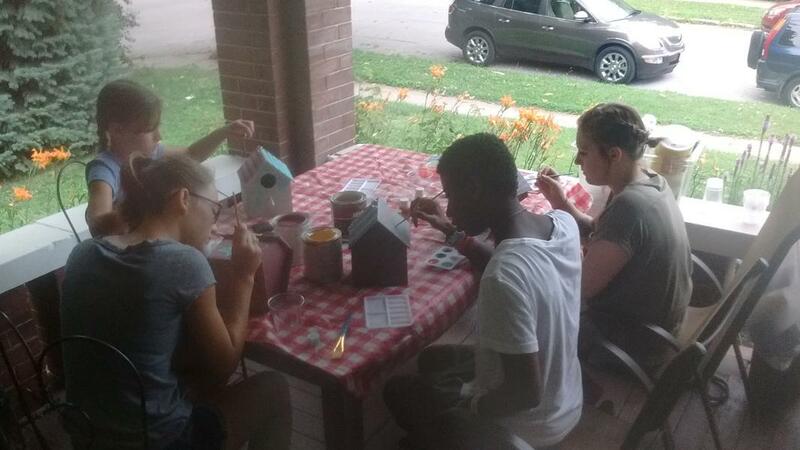 Meanwhile, the Women’s Writing Classes and Retreats have been going strong throughout the summer. Participants’ writing will be collected and published in an anthology. This walkable, continuous art show showcases the diverse work of emerging and established artists at venues on or near North 30th Street. 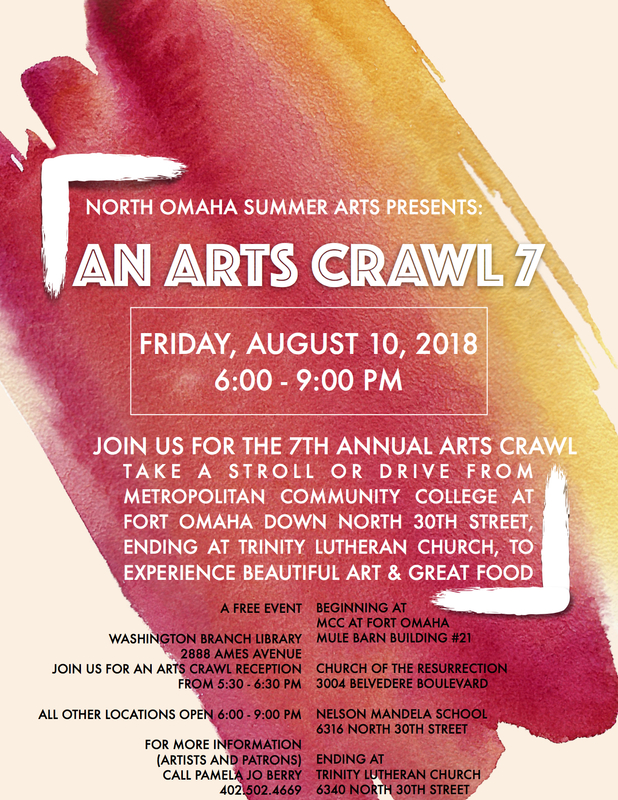 The 6th Annual Crawl starts at the Metropolitan Community College Fort Omaha campus Mule Barn building and ends at the North Heartland Family Service – with Church of the Resurrection, Nelson Mandela School and Trinity Lutheran in between. 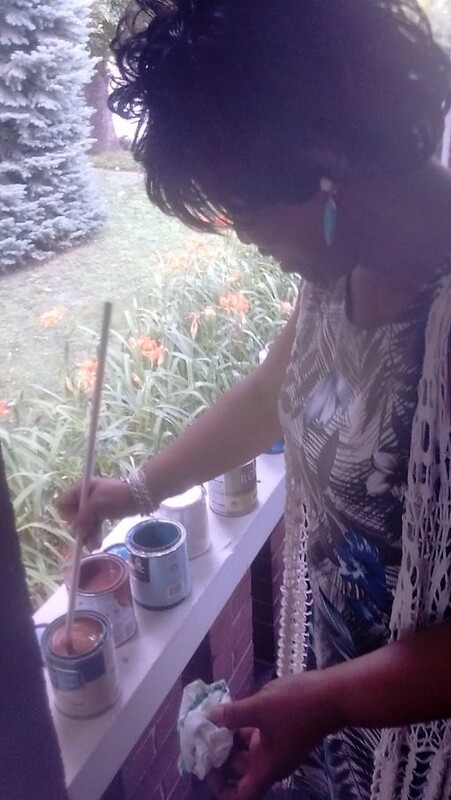 Walk or drive to view art in a wide variety of mediums, to watch visual art demonstrations and to speak with artists about their practice. Enjoy live music at some venues. 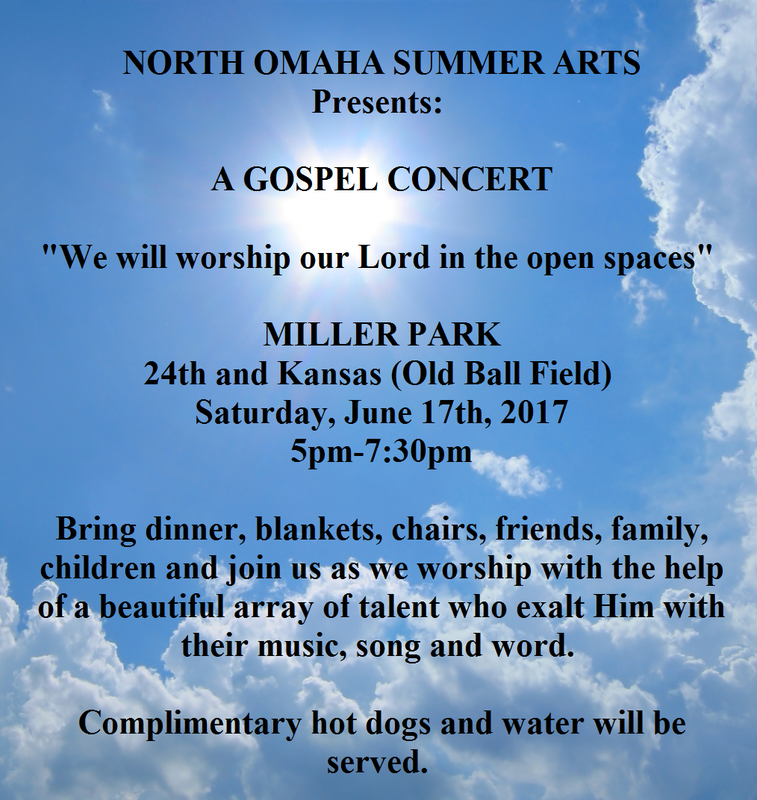 Many of the featured artists are from North Omaha. 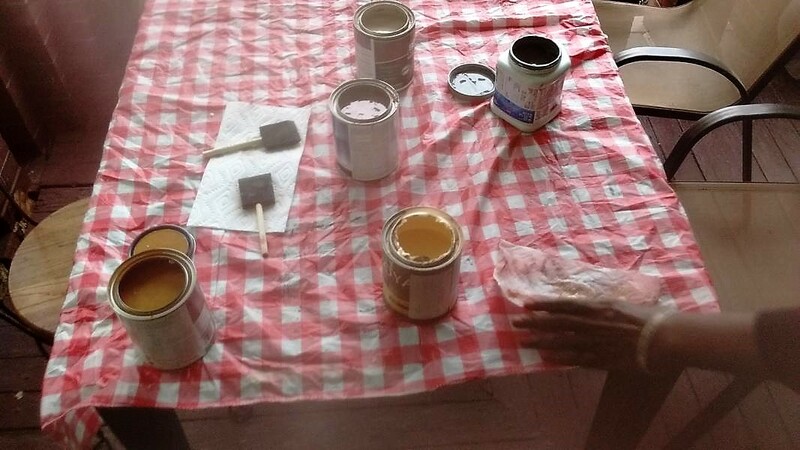 For this year’s Crawl, each veteran artist is showing alongside a younger or less experienced artist with whom they share a close connection. For example. Gabrielle Gaines Liwaru is showing her work beside her daughter’s and Aaryon Lau Rance Williams is showing his paintings next to art created by youth from the after school arts program he operates. 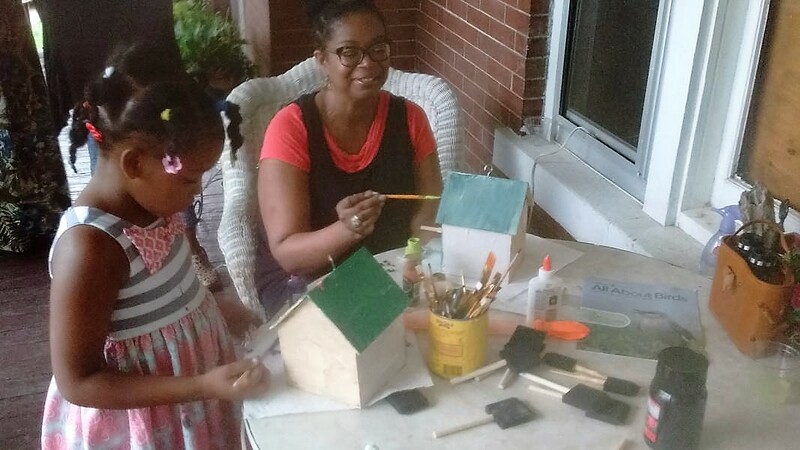 NOSA invites you come out for this each-one-to-teach-one and it-takes-a-village celebration of community, family and art. We are exploring the connection between American author, poet, philosopher, abolitionist, naturalist and historian Henry David Thoreau with The Harlem Renaissance. Drawing instruction by artist Ronald Sykes. Writing instruction facilitated by author Kim Louise. 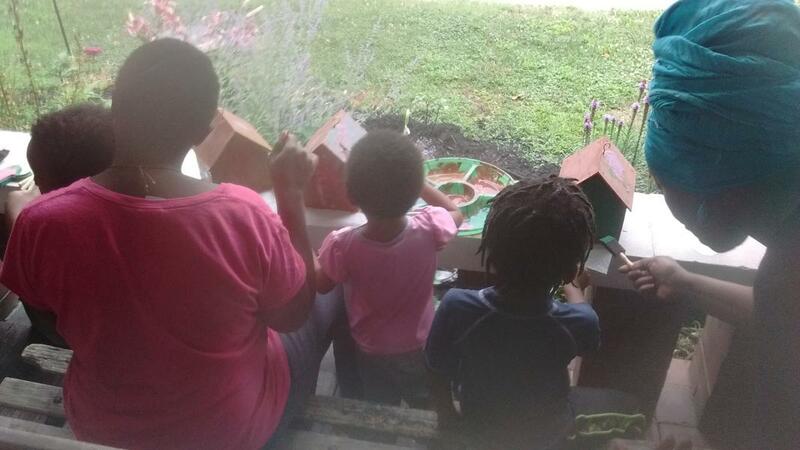 We will take time to walk, draw and write in the beautiful woods located in the middle of North Omaha at the Malcolm X birthsite. 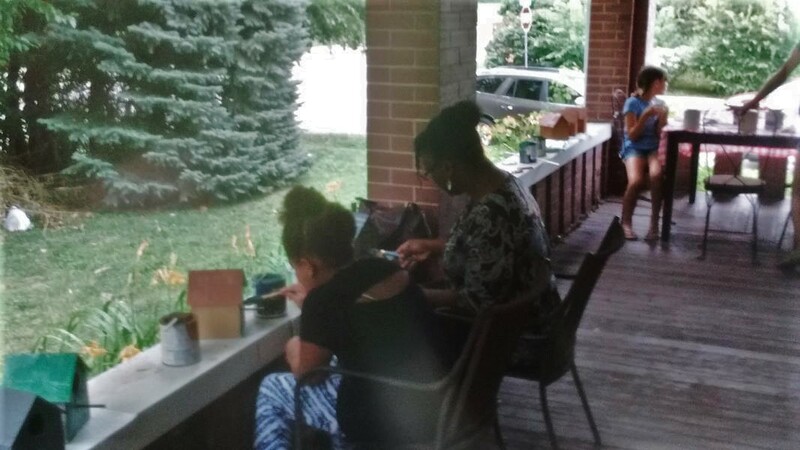 Lunch and discussion, plus spoken word performance by Felicia WithLove Webster. 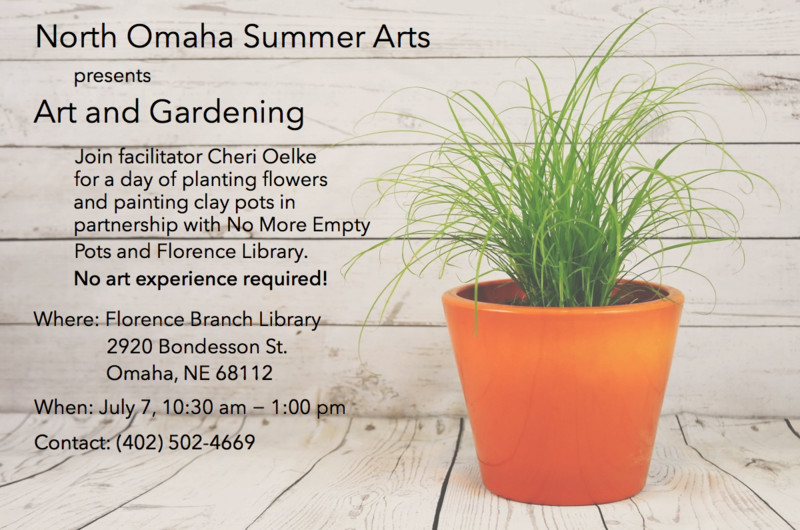 And we will document pictures of your creations for our virtual gallery on the North Omaha Summer Arts (NOSA) Facebook page. No drawing or writing experience necessary. For registration or questions, call 402-502-4669. 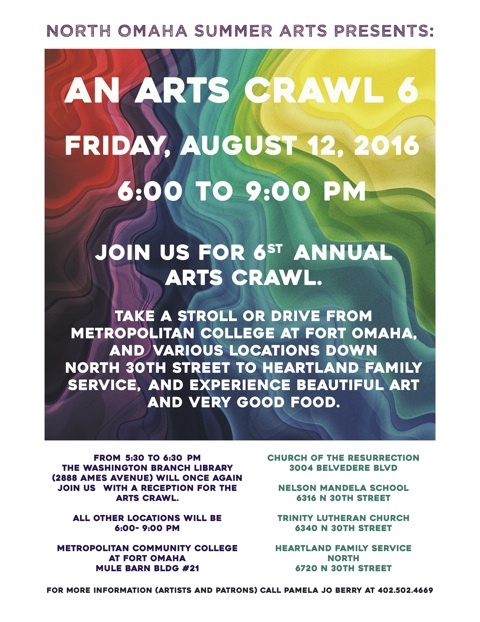 Mark you calendars for the 6th Annual Arts Crawl on Friday, August 12 from 6 to 9 pm at several North 30th Street venues.